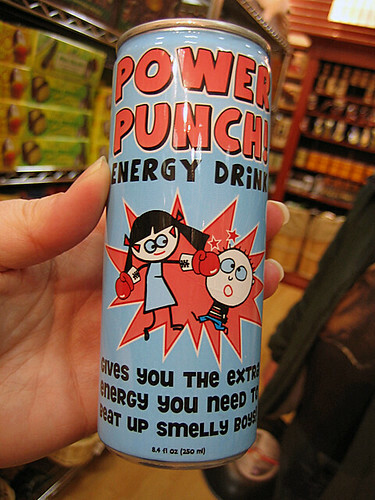 powerpunch, originally uploaded by Tashabear. This was right next to the Happy Bunny Spaz Juice. As soon as I saw it, I thought of evilnicola and her t-shirt.